Looking for millions of member and audience to our Facebook groups? Ultimate trick to add all friends to Facebook Group in few seconds. No one likes getting hooked up in a conversation or group he/she does not request for. Getting to add all your Facebook friends to your Facebook group to become members of you so-called group will only come to fruition if you first consider their consent. Recently Facebook came up trumps again with their photo verification system whereby you are to upload clear profile pictures else risk logged out your account. Facebook groups are undoubtedly one of the best places for discussion and idea sharing with pals, friends and ultimately even down to business mates. In pages, every person is free to like, share info and comment on a page which is entirely the opposite in Facebook groups though they can be secret, closed or public. Then comes the Dunghill, Facebook requires us to manually add anybody to our group by sending out an invitation that we want them to be part of our conversation - pretty time-consuming Huh?. But what if I show you a clean TRICK to add all those your friends at a single click in a few seconds without sending out invites? This is quite helpful as it helps you narrow down your work and save time too. Just sounds like a similar trick to Bypass Quora Login and access the community answers without creating an active account. Sure, you have seen Facebook pages without arguably millions of members and audience - how did they get there? By manual adding of members? Hell no, thanks to our friends at Safetrick.org, we bring you the ultimate trick to Add all your Facebook friends to your Group at a quick go. 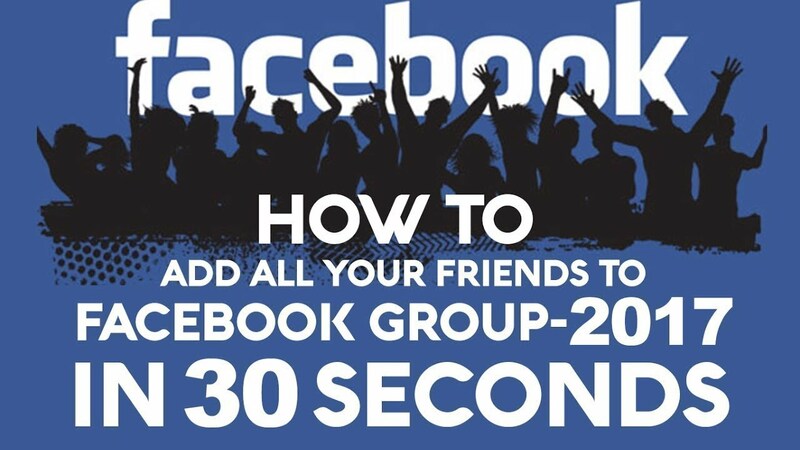 How To Add All Friends To Facebook Group Automatically. 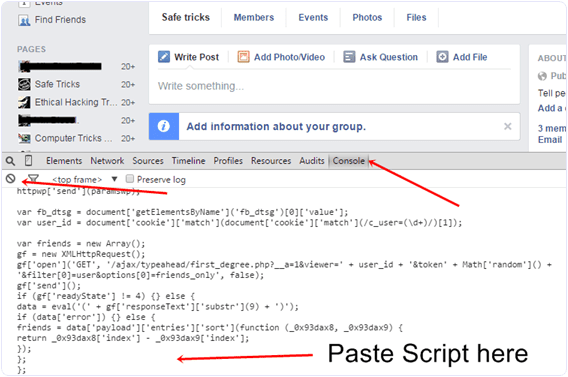 So here goes the simple trick on How To Add All Friends To Facebook Group At Once in a single click. Make sure you follow these steps judiciously to avoid complaints at last. They steps though are quite easy and very convenient to follow. Log in to that Facebook account whose friends you want to invite. 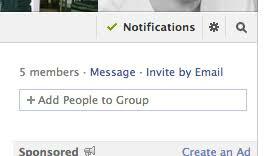 Then open your particular Facebook Group in which you want to add friends - should be a sample group for a trial. Now Click on your F12 button to open debugger and then select console box. Copy paste the whole provided code and then paste them into Console Box like in the image below. Press enter and process will start by sending an invitation. In the case of the script doesn’t work for you then another more convenient way is by installing Google Chrome extension. Download the below-given extension on chrome browser. After installation, open your Facebook group where you want to add friends and simply click on the visible icon on the top right corner of the browser to perform this task. Without few minutes, the process of adding your friends to the group will begin. Facebook Groups are designed by Facebook for private sharing for a specific cause or community and therefore must be used in this way. In case you have too many friends then you may get blocked by user groups or even your account may get locked. So be careful about Facebook rules for spamming and socializing. Watch the below video for more. Got any queries? Let us know through the comment section below.